Twenty percent of the building’s units have been designated as affordable housing, for which 57,000 people have already applied, according to Lightstone Senior Vice President Scott Avram. 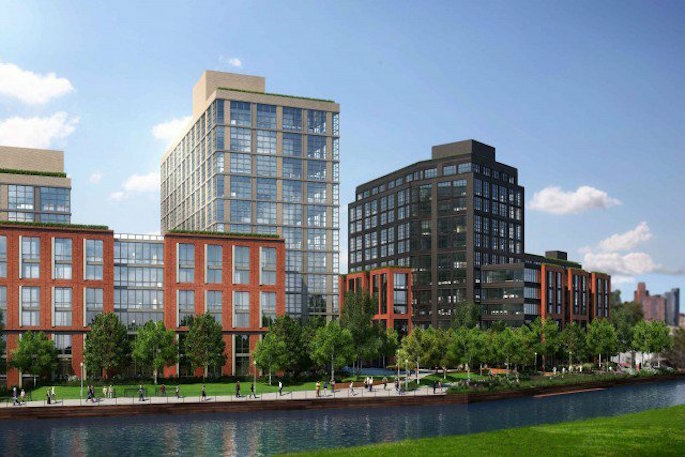 Amenities will include doormen, valet parking, roof decks, a fitness center that overlooks the canal, plus space for kayak storage and a boat launch. The buildings and surrounding landscape are protected against rising water levels and built higher than the post-superstorm Sandy floodplain. 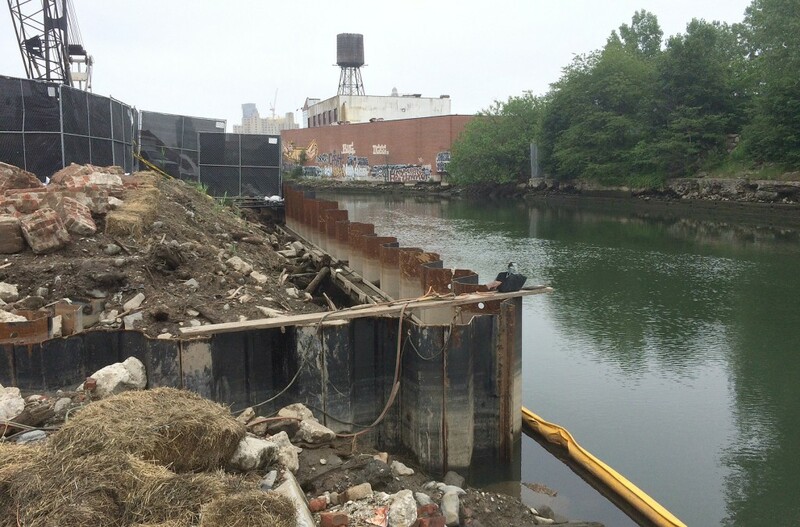 The neighborhood surrounding the 1.8-mile Gowanus Canal–designated a Superfund site in 2010 by the EPA due to a long list of contaminants–was long seen by many as little more than a warehouse-filled buffer zone between the pricey neighborhoods of Park Slope, Boerum Hill, Cobble Hill and Carroll Gardens. Recent years have brought an investment boom, including the further-transformative 2013 arrival of a 56,000-square-foot Whole Foods supermarket. Starting in 2017, the EPA will begin a $506 million five-year cleanup effort, with the parties responsible for the pollution, including the city and the National Grid power company, footing the bill. The Lightstone Group buildings are the only new residential developments underway in the area, due to restrictive zoning. The developer benefited from a former spot rezoning allowance given to the property’s previous owner, Toll Brothers–though other developers have plans in the works nearby. Stay up to date on listings for 363 and 365 Bond Street at CityRealty.